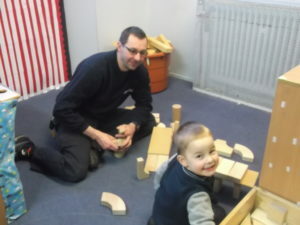 The Nursery classes have had a very busy start to the year. 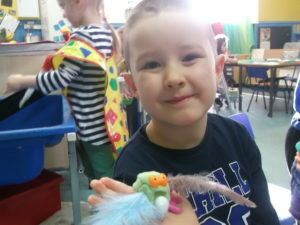 Nursery 1 have been exploring garden birds. They put out some feed to attract birds to the garden and have been spotting them from the window and when they go out for walks. 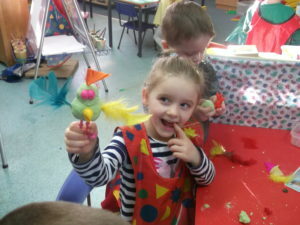 In class, they have been painting and modelling their own birds. 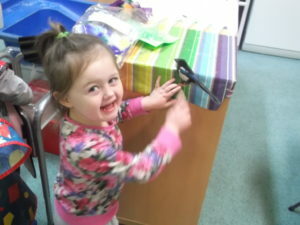 They have even had an indoor bird hunt. 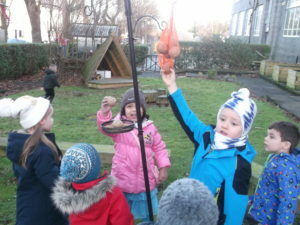 Some of the children took part in the RSPB Big Garden Birdwatch over a weekend. 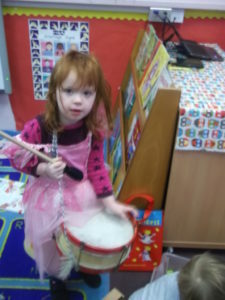 Nursery 2 were looking at the theme Winter where they explored ice, snow and frost. 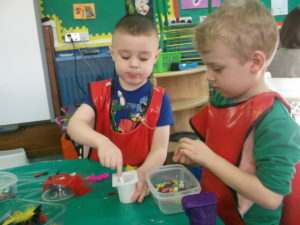 They made lots of interesting crafts (including painting with frozen paint) and went out looking for changes in the environment. 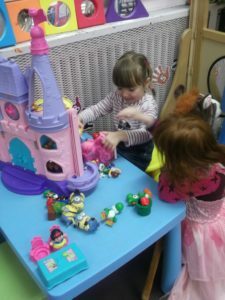 Now they are having fun with the theme of ‘Superheroes and Princesses”. 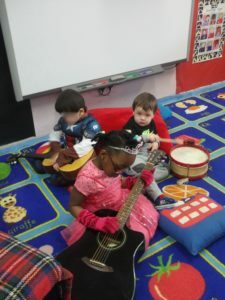 They were kindly donated a guitar for the children to use and it was added to the musical instruments that they play with. 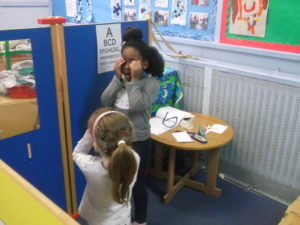 The children have been investigating how to make it work. 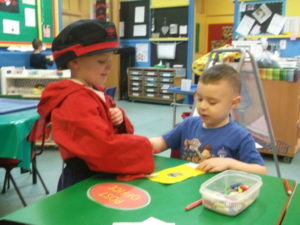 Nursery 3 have been looking at ‘People Who Help Us’. So far they have looked at doctors and nurses and postal people.They have had role play corners where they children have dressed up and pretended to be the different people. 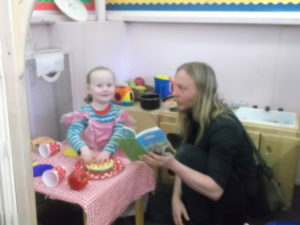 All 3 Nurseries also had another well attended ‘Stay and Play’ session. 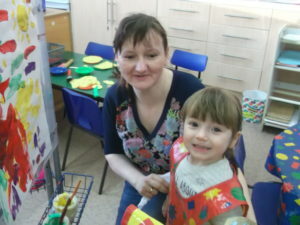 Once again it was great to parents and extended family members come along to join in the nursery fun.